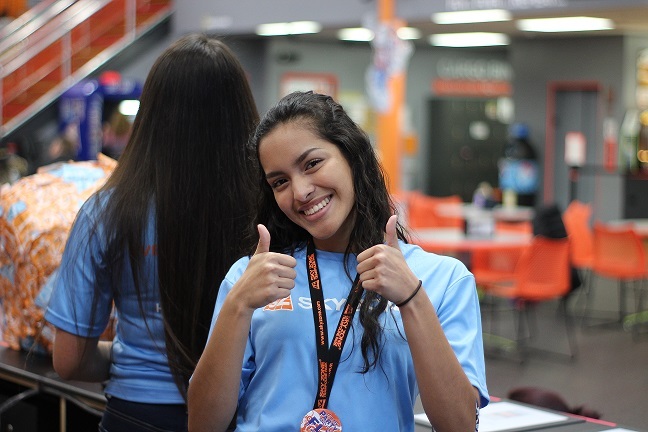 Sky Zone Ocean is NOW Hiring! Join our AWESOME team today! Complete an application and bring it to one of our Job Fairs! We'll be hosting Open Interviews EVERY Monday from 3:30pm-4:30pm! Event Assistants will book, confirm, and check-in events. Event Assistant will also be responsible for scheduling party hosts. The emphasis for Event Assistants is on pre-event activities. The SkyFit Instructor is responsible for teaching a class in a courteous, friendly, and professional manner while upholding Sky Zone safety regulations.